A social media game about farming has skyrocketed to popularity on Facebook, attracting more than 73.8 million daily users worldwide just six months after it was launched. 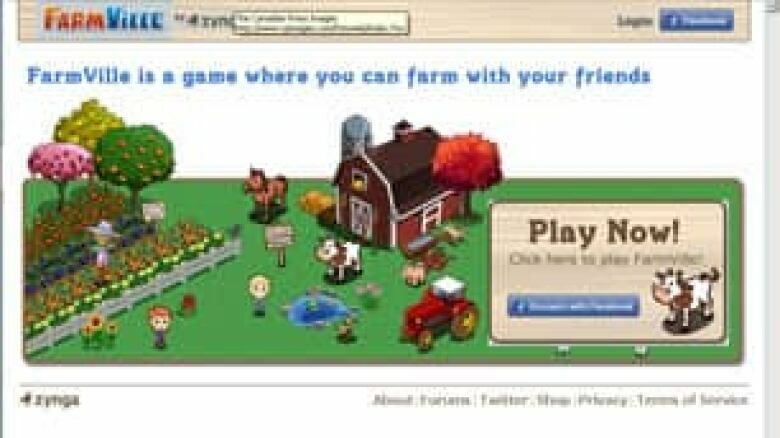 FarmVille, developed by the California gaming firm Zynga, is the most popular game among Facebook's 350 million users. It allows the ordinary city person to become a virtual farmer. You can get up at virtual dawn, plant virtual crops and raise virtual animals, even buy virtual little red tractors. Users say it is addictive, thanks to the satisfaction of seeing your harvest grow in size. But what do real farmers think? 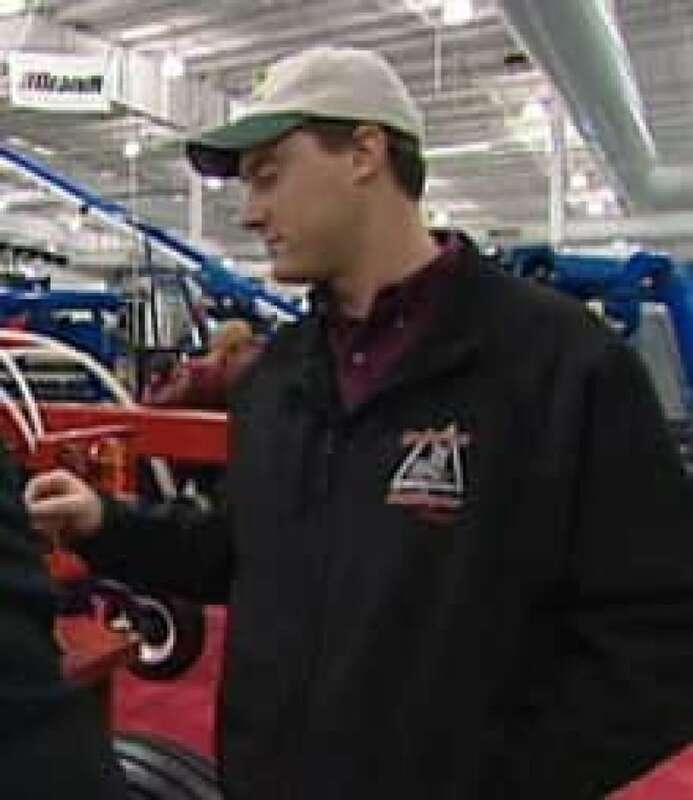 "It doesn't depict real farming because you make money at it all the time," Saskatchewan farmer Ben Wilson joked to CBC News at a farm expo in Saskatoon. Asked if the popularity of the game surprises him, Wilson replied: "It kind of does, in a way, that they are playing a farming game, of all things." Saskatchewan farmer Jesse Horn apparently couldn't get enough of the real thing. She started playing FarmVille in her spare time and quickly became addicted, spending more than an hour a day to get her crops to the virtual harvest. But then came the real harvest, and her virtual game went to seed. "There was no time for it, so everything died," Horn said. "I quit this so I could harvest for real." Canada has the sixth most visitors to FarmVille. The United States is number one, followed by Turkey, the Philippines, the United Kingdom and Italy. A social media expert says FarmVille's appeal has less to do with digging in dirt than with the players themselves. "It provides an alternative world, a world where people can build their status — and people do care about their status," said Julita Vassileva of the University of Saskatchewan. "They care about their reputation, and they're ready to pay real dollars." Despite its success, FarmVille has detractors. A Facebook group called Not Playing FarmVille has more than 1.9 million members, including some who call the game a waste of time. "Mindless, boring, stupid and annoying," wrote one member of the group, while another said, "Better to cook or read a book, no time for gaming." Another member confessed: "I am a FarmVille addict. I have taken the first step" while another was torn: "FarmVille's not a bad game, but who has all that time?" The game is also cited in a class-action lawsuit against Zynga and Facebook, filed in California in November. The lawsuit alleges Zynga lures "unsuspecting consumers into signing up for services and goods that they do not want or need." FarmVille is used as an example of the schemes Zynga allegedly employs. The suit says they're similar to the much-criticized offers of online IQ tests. "To take the test the consumer must provide their cellphone number and they are told that the results of the test will be sent to them via text message," the suit states. "However, what the user does not know is that by providing their cellphone number they have unwittingly subscribed to a useless SMS service and will be billed on a monthly basis through their cellphone bill." The suit seeks compensation for all users of Zynga games who have made such payments in connection with their use of the games. Bill Mooney, a Zynga vice-president and the general manager of FarmVille, wouldn't discuss the litigation but said the company has taken a "substantial financial hit" to address user concerns about third-party charges. "First we turned everything off, went through and cleaned out offers that we had concerns about that provided a bad user experience, and we're working basically to improve the quality of those offers," Mooney said. P.O.V. : Facebook Games: What do you play?